The best greens are healthiest and happiest when the air around them is moving. 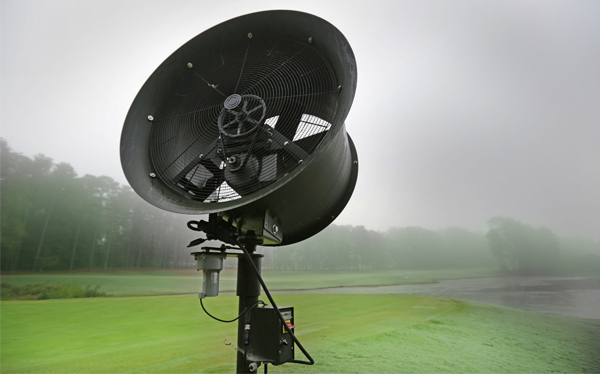 That’s why there’s TurfBreeze™ Golf. You spend so much time, energy and money on your greens. 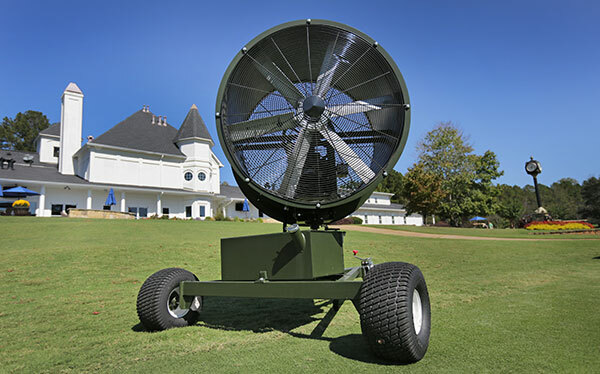 Can you really afford not to take advantage of our TurfBreeze™ Golf affordable and innovative fans? #1. Your greens hate excessive heat way more than your golfers do. Sun and heat consistently pound your greens. And they can’t take advantage of your beautiful air-conditioned clubhouse before and after a long, enjoyable round or a cold brew at the turn. the quality of the putting surface diminishes while player frustration increases. Why? Because excessive heat actually shrinks the roots of the grass. That’s a major concern for you and the folks yielding their putters. 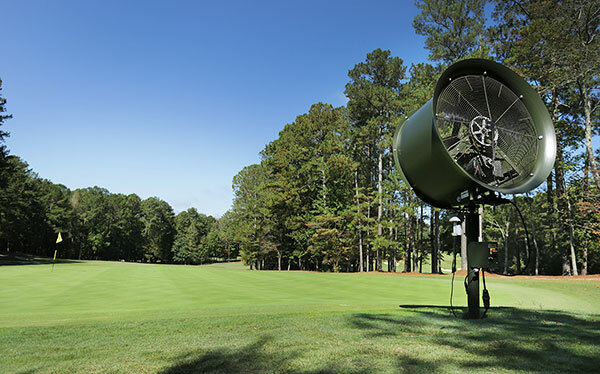 The use of industry-leading TurfBreeze™ Golf fans has proven to lower the surface temperature of grass up to 10 degrees. In turn, that lowers the soil temperature significantly. That is a remarkable difference you simply can’t afford to ignore.